You can add a CNAME (alias) record to your DNS (Domain Name System) zone file for a domain registered with GoDaddy. CNAME records use a domain prefix, such as blog.coolexample.com to point to another domain name, or URL. To add a subdomain that points to an IP address, you can add a subdomain. 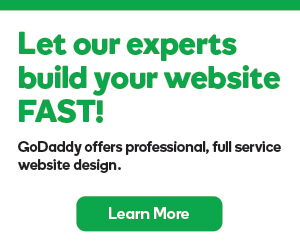 If your domain is not registered with GoDaddy, you can add a CNAME using DNS hosting. On the DNS Management page, at the bottom of the Records section, click Add. Select CNAME from the Type dropdown. Host The host name, or prefix, the CNAME record will be set to. You can include a period (.) but not as the first or last character. Consecutive periods (...) are not allowed. The host cannot exceed 25 characters or be the @ symbol. Points to The URL you are setting as the destination for the host. Type @ to point directly to your root domain name. Note: The most common CNAME host is www, with the @ symbol entered for the Points to field. This will make www.coolexample.com load to the same webpage as the root domain, coolexample.com. You can edit an existing CNAME record to change any details. Or you can delete a CNAME record if it's no longer needed. 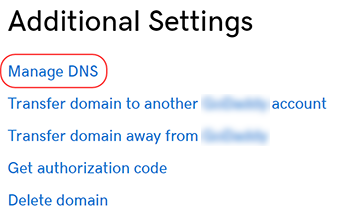 If you need to edit DNS for a domain not registered with GoDaddy, you can manage DNS hosting .